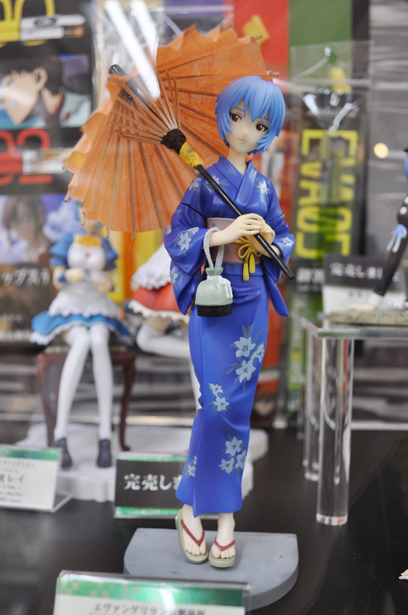 Posted on 2012/08/02. 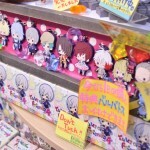 Used Akihabara, Figure & Dolls, Goods, Hakuouki, Relakkuma, Uta no Prince-sama. 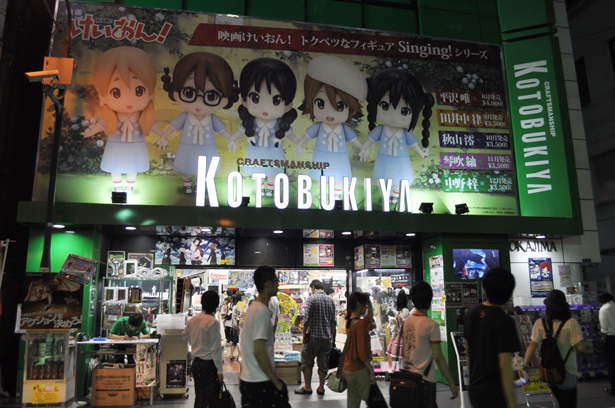 Kotobukiya (コトブキヤ) is a popular toy store dealing mainly with plastic models and figures. 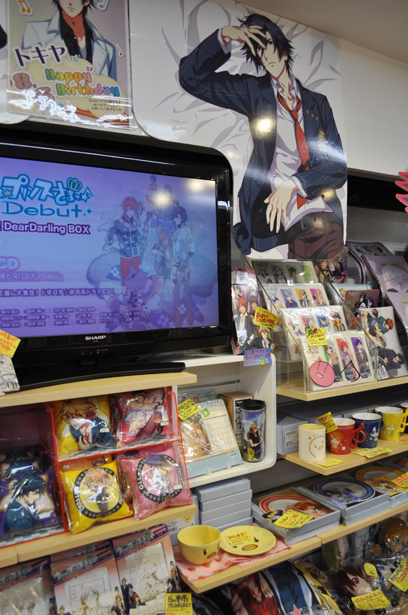 Kotobukiya in Akihabara allows customers to take photos of its inside, as same as Animate Akihabara. 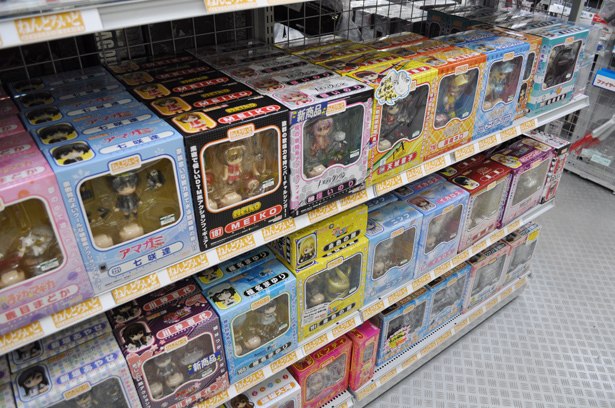 Danbo arrangement contest was held. 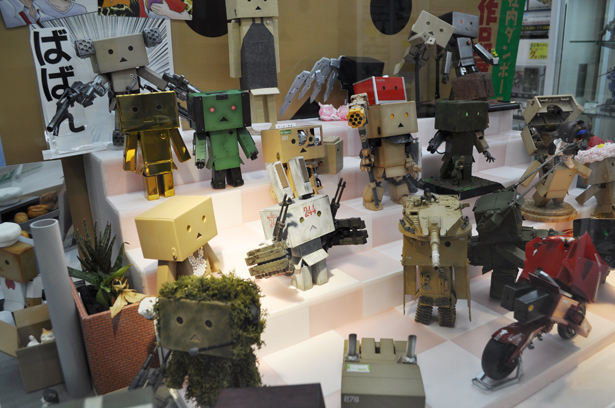 Danbo from “Yotsuba&! 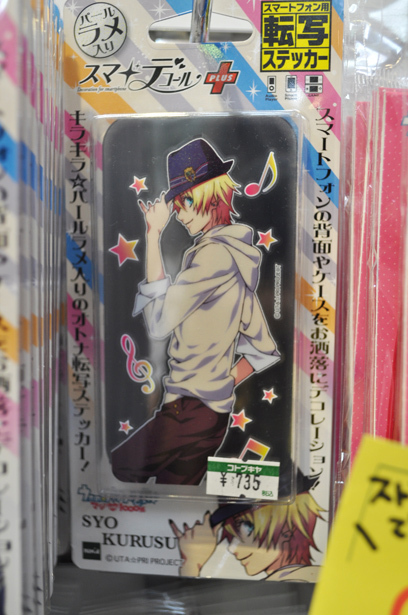 (よつばと！)” is recent hot character. 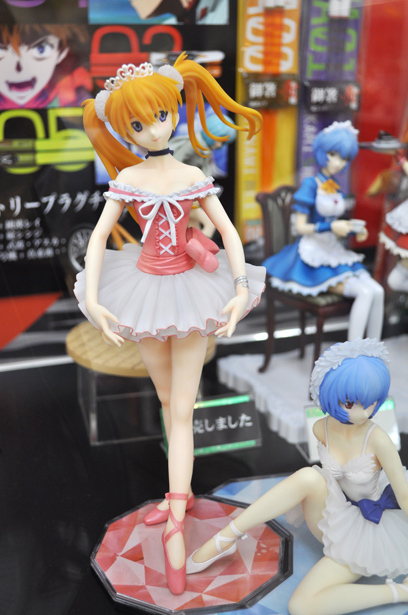 The staple for figures, Rei and Asuka from Evangelion. 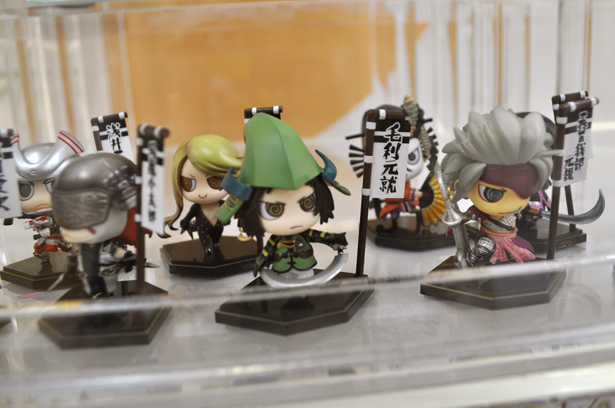 Petit Sengoku BASARA (戦国BASARA). 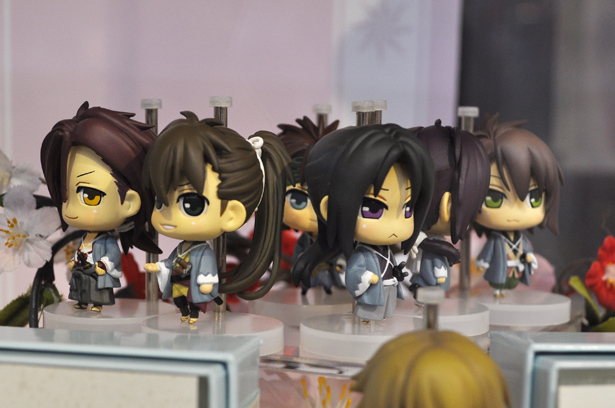 Which character do you like the best? There are various kinds of Nandoroid. 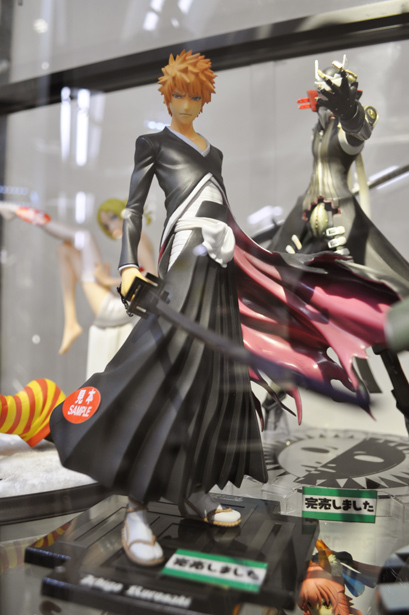 BLEACH! 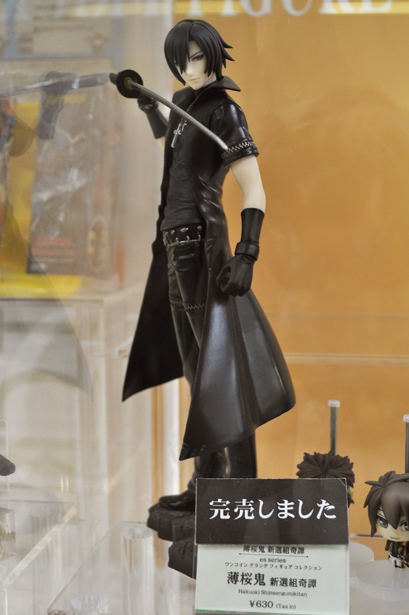 This Ichigo Kurosaki is so cool. 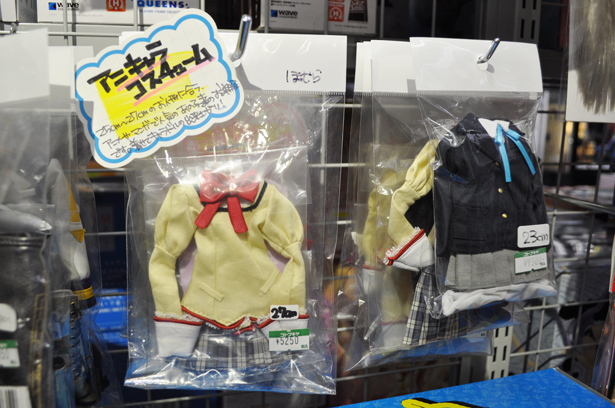 You can buy anime character’s outfit for dolls! 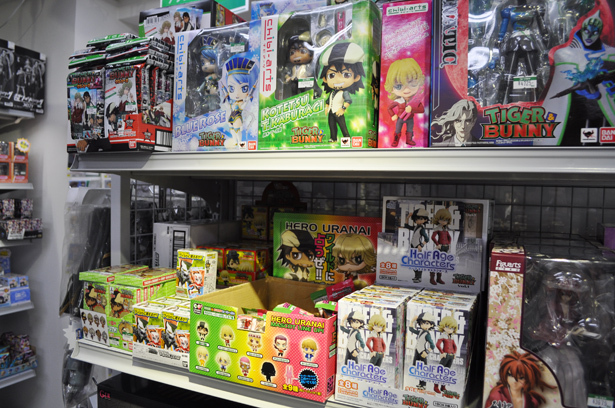 Tiger&Bunny section. 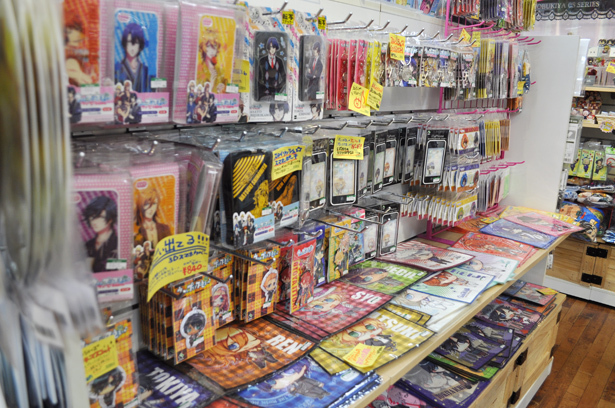 T&B goods are popular with girls. 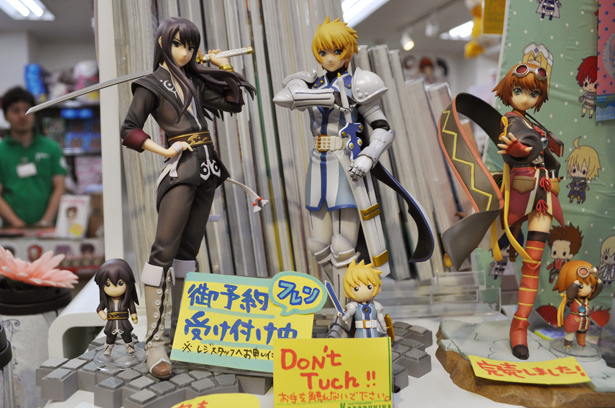 Found the figures of Tales of Vesperia. 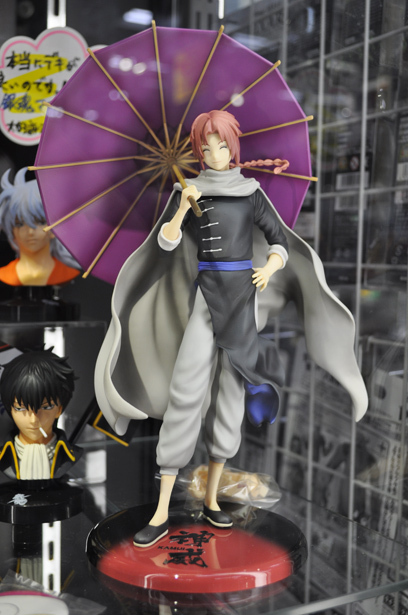 Kotobukiya has started to accept orders for Flynn Scifo figure. 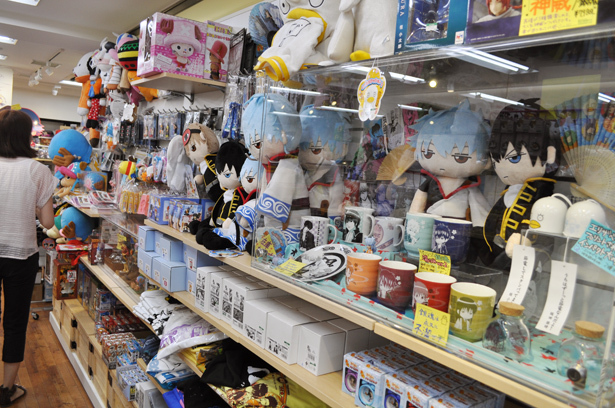 Weekly Jump goods section. 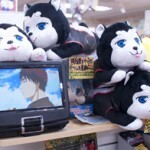 Gintama is popular! 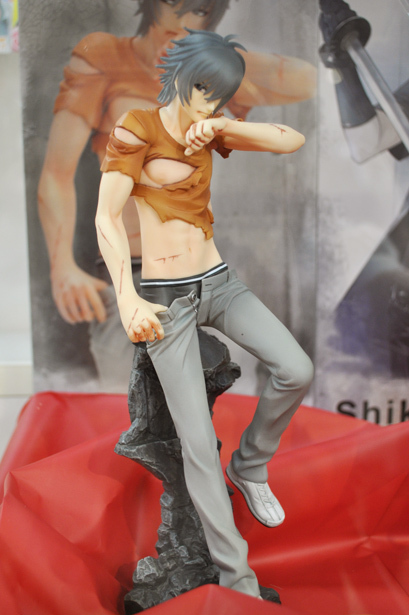 Akira from Togainu no Chi (咎狗の血). Aww I love this!!! 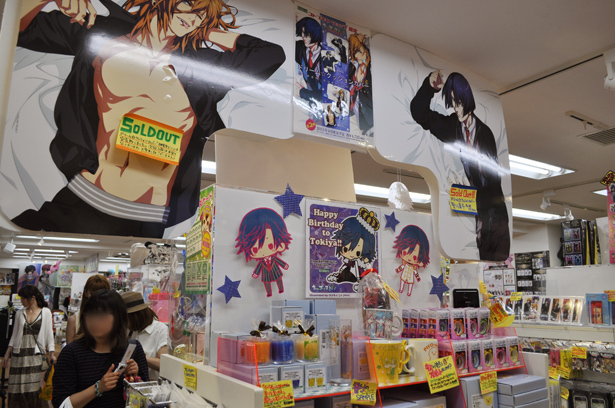 Uta no Prince-sama (うたの☆プリンスさまっ♪) is the hottest topic here too. 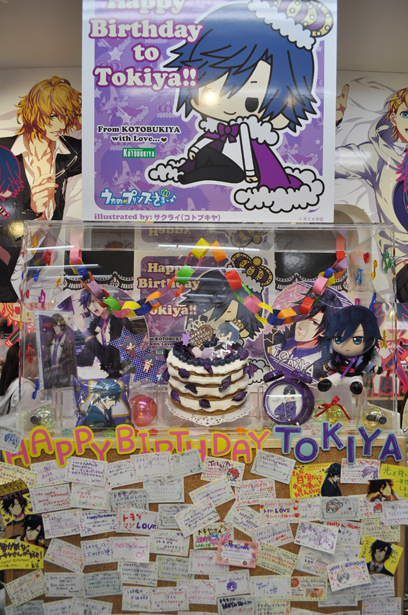 Many fans leave the messages for Tokiya Ichinose’s birthday on Augusut 6. 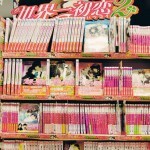 Relakkuma (リラックマ) section. 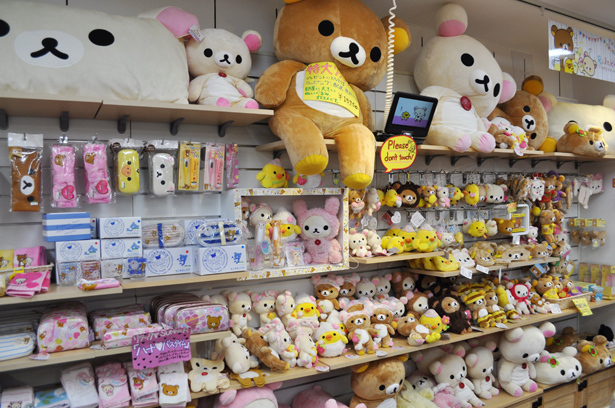 Rilakkuma is a longtime seller.